NodeJs is great for string or event based real time applications. - Node is good if you need high concurrency but less CPU utilization. Node.Js is running under single thread. You will need to download and install the node.js runtime. Download NodeJS from here: http://nodejs.org/download/ and select windows and install based on requirement of 32bit or 64Bit. 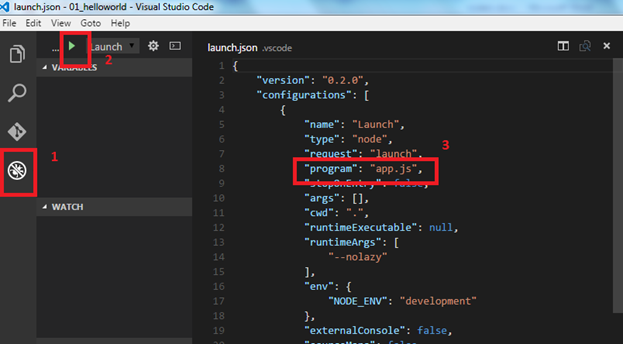 After install you can check the NodeJS have installed or not by C:\Program Files\nodejs. There you can see the NPM – it is use to setup the node package manager. 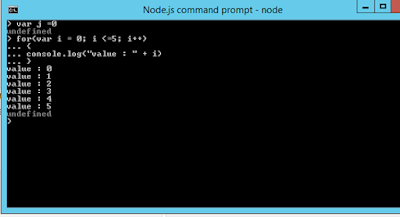 Now you can open the nodeJs command from by start option Type nodeJs. Just type npm -h.
It will display the command for npm. I created directive D:\NodeJs\nodesamples\01_helloworld and created file as app.js. Set up the configuration path as like below. Now run the application and expected output value is Hello world will display in console. 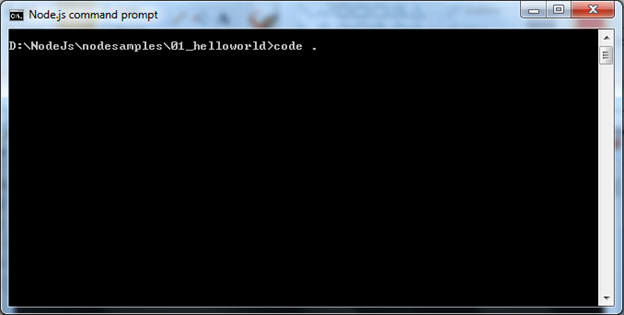 Success: you have created your first application of hello world. Go to browser and type http://localhost:3000 ; as you are running the application on 3000 port. REPL mis read Eval Print Loop, it is just like window console and there you can perform the operations. It perform following desired task. Eval : Evalaute the data structure. 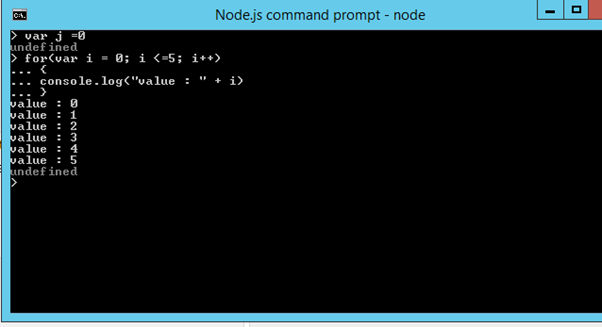 Just type node in node.js command prompt. ctrl + c - terminate current command. ctrl + d or ctrl + c twice - terminate the Node REPL. Up/Down Keys - see the history and modify previous commands. tab Keys - list of current commands. .help - list of all commands. .clear or .break - exit from multiline expression.